Last summer, I was looking for something new to add to the traditional cookout menu. The fresh peaches sitting in the basket on the counter caught my eye and I wondered how I could use them other than in a pie, cobbler or to top ice cream. 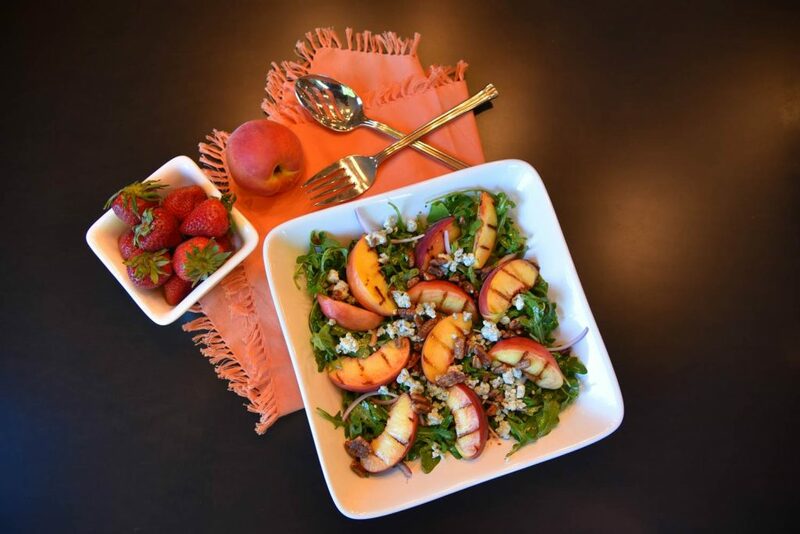 This savory salad, the perfect combination of sweet peaches, peppery arugula, and tangy blue cheese is a complement to any cookout or a stand out meal on its own. Give it a try and you may find, like we did, that it will be added to the list of “traditional” cookout foods at your house! Preheat grill to high (or use a grill pan). In a large serving bowl, whisk together extra-virgin olive oil, balsamic vinegar, salt and freshly ground black pepper to taste; set aside. Halve and pit peaches; cut each into 6 wedges. Lightly brush wedges with oil. Place on hot grill for 30 seconds on each side. Add baby arugula and onion to dressing; toss gently to coat. Arrange peaches on top and garnish with blue cheese and hazelnuts. In place of arugula, try baby spinach. Instead of blue cheese, use goat cheese or feta. Can't find hazelnuts? Use walnuts, almonds or pecans. 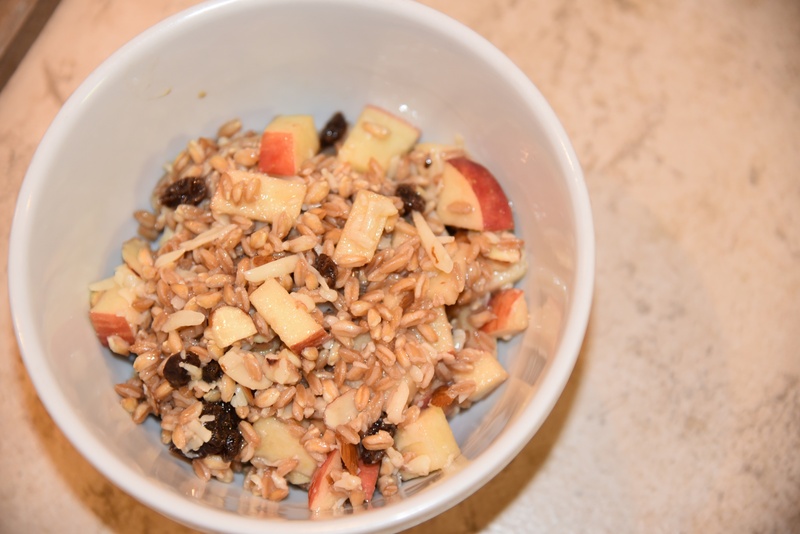 For a slight twist on the original, you can also toss in blueberries or other seasonal berries of your choice!